If there is a country synonymous with wine, surely it’s France. 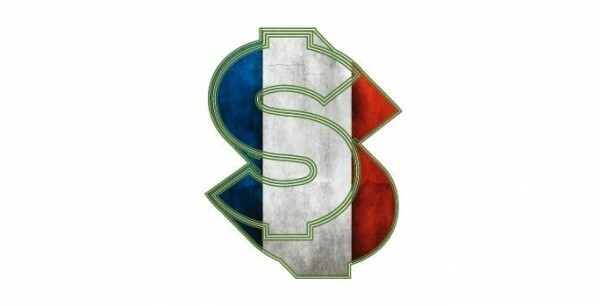 And France is well-known for producing some of the planet’s most sought-after and most expensive wines. Thankfully, though, that’s not all they produce. In fact, some of the best wine bargains I know of are French. And many of them—like the under-$20 ones that follow—are readily available here. You shouldn’t have to search too far or wide to enjoy these vin-tastic deals from France. When I think of Bordeaux, I’m usually dreaming of getting my hands on a first-growth Premier Cru such as ChÃ¢teau Margaux or ChÃ¢teau Haut-Brion. But alas, my pocketbook can’t handle that kind of opulence. Luckily, you don’t have to mortgage the house to drink decent Bordeaux. I’m especially fond of the price ($11.99) of 2010 ChÃ¢teau de Juge, a well-balanced Bordeaux with silky tannins, and one you don’t have to put away for years before drinking. Ditto ChÃ¢teau Damase 2009 ($14.99), which has been a go-to everyday Bordeaux in our household for years. One more: ChÃ¢teau Monbadon CÃ´tes de Castillon ($16.99) has mature fruit flavors and a little smokiness, and I found it to pair nicely with a charcuterie platter. Those are red wines, of course, but let’s not forget about white Bordeaux: Bordeaux blanc. Dry white Bordeaux wines are typically dominated by Sauvignon Blanc, which is blended with Sémillon and Muscadelle. These wines are much less herbal and fruit-forward (i.e. more subtle) than Sauvignon Blanc from, say, New Zealand. Less dry (sweeter) Bordeaux blanc is made with heftier portions of Sémillon. One of my favorites is ChÃ¢teau Ducasse ($17.99), which has gorgeous white-peach aromas on the nose and nice acidity and minerality from the Sauvignon Blanc. For a little less coin—it often goes on sale for $7.98 at the state stores—Mouton Cadet ($9.99), in which Sauvignon Blanc dominates, is a great all-purpose white Bordeaux that seems to have been made with shellfish in mind. As with Bordeaux, high-end Burgundy is also mostly just a fantasy for me. But again, you don’t have to blow the kids’ college fund to drink good Burgundy. I recently cracked open a bottle of J.J. Vincent Bourgogne Blanc ($15.99) and was impressed by its creaminess and subtle hints of oak. It tastes like higher-priced Burgundy. Another great white Burgundy bargain is Grand ArdÃ¨che ($13.99) from Maison Louis Latour (one of the most-respected wine producers in Burgundy). There are toasted-almond and brioche aromas, and the wine is big and round on the tongue. Red Burgundy for under 20 bucks ain’t easy to come by, so once again I turn to Louis Latour. Latour Valmoissine Pinot Noir ($14.99) has intense cherry aromas on the nose, but is quite nicely balanced and silky on the palate. It’s a good partner for grilled salmon. At our place, we love Domaine Lafage CÃ´té Est ($11.99). It’s a lovely Grenache Blanc, Grenache Gris, Chardonnay and Marsanne blend with honeysuckle aromas and citrus flavors—a perfect porch and picnic wine. And speaking of picnics, Le Rosé de Floridene Bordeaux Rosé ($12.67) would be a perfect wine to pack along. It’s made from Cabernet Sauvignon and Merlot and has an orange hue with intense (for Rosé) strawberry and passion-fruit flavors. Rhone wines are often bargain-priced, and two of my favorite reds are Guigal CÃ´tes du Rhone ($16.49) and Jaboulet ParallÃ¨le 45 CÃ´tes du Rhone ($15.99). The spiciness of CÃ´tes du Rhone makes it a logical partner for grilled and barbecued meats, as well as pizza. A votre santé!